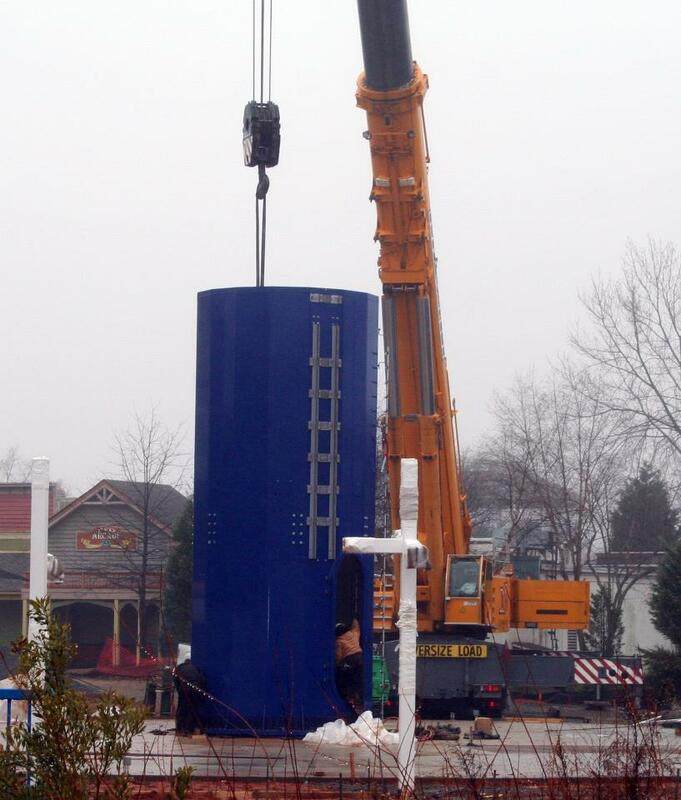 Whether you like it or not, Windseekers are taking over the Cedar Fair chain; Six of out of the twelve theme parks currently operate or are building one. Cedar Fair is hooked on these 300 (excuse me, 301) foot swing sets, and it’s understandable why; simply put, it’s a gimmick, and the general public eats them up. I can already hear “Dude, did you hear some guy fell out of that thing?” “No way! 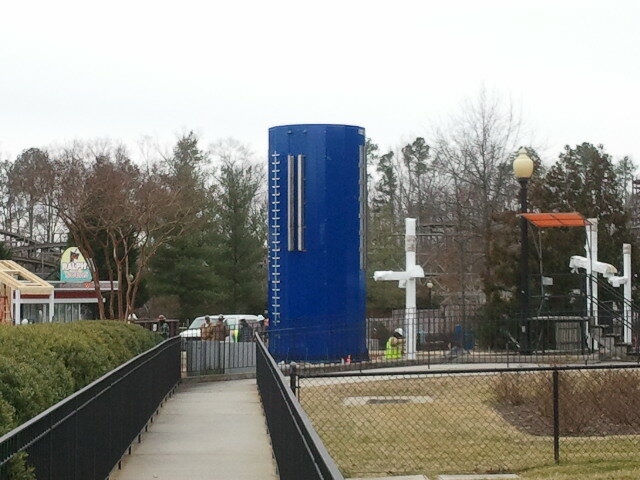 Lets go ride it!” on the midways of Carowinds. Anyway, the two Windseekers currently under construction are making decent progress. Both just hit the milestone of their first piece of tower being installed and have “gone vertical.” With the theme park season just around the corner, it’ll be fun to watch these things fly up. Hopefully they’ve worked out the kinks from the last set and these two will have a smooth season.